Never in the history of the world have more people had the riches and luxuries that we have now. For almost all of time, the chief concern of humanity has been how to divine strategies to stay alive by having enough food. This was not a small challenge. And despite the fact that most of us have never seen an otherwise healthy person starve to death, this was a very recent challenge. While we still hear of devastating famines in impoverished areas, such as subsaharan Africa, it is important to realize that even the most “developed” parts of the world had famine and insufficient food even in the recent past. 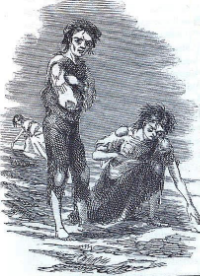 Consider the Irish Potato Famine from 1845-1852 that resulted in the deaths of one million people and the exodus of one million more out of Ireland. Or, consider the Russian famine of 1921-1922. In just one year, the consequences of the First World War and a draught led to the death of six million people. 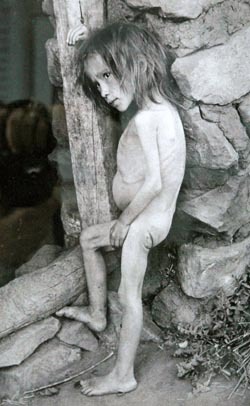 The reality of food insufficiency for most of human history can be seen not just with lurid descriptions of famine but also by examining many of our customs both past and present. In nearly every group of social mammals, it has been the head of the hierarchy who has received the best food. Consider the alpha males of a pack of wolves or of a group of great apes. This funneling of resources to the top of the hierarchy is even more pronounced in humans. While even hunter-gatherer cultures of both past and present had a social hierarchy, it was only by the creation of vast wealth through the division of labor, comparative advantage, trade, and the domestication of animals and plants that humans created sufficient resources that we could develop such a tremendous discrepancy. Civilization created the requisite prosperity for there to be those who “have” and those who “have not”. Prior to civilization, the default state of most humans was “usually had not” or at least “usually had very little”. Thus, while hunter-gatherers and wolves have a wealth discrepancy among their social strata, it is not nearly as great as that of those found in civilization primarily because civilization has so much more wealth. This discrepancy of resources meant that for almost all of time it was only those at the top of the social pyramid who could afford to eat enough to allow their bodies to store extra calories as fat, or adipose tissue. 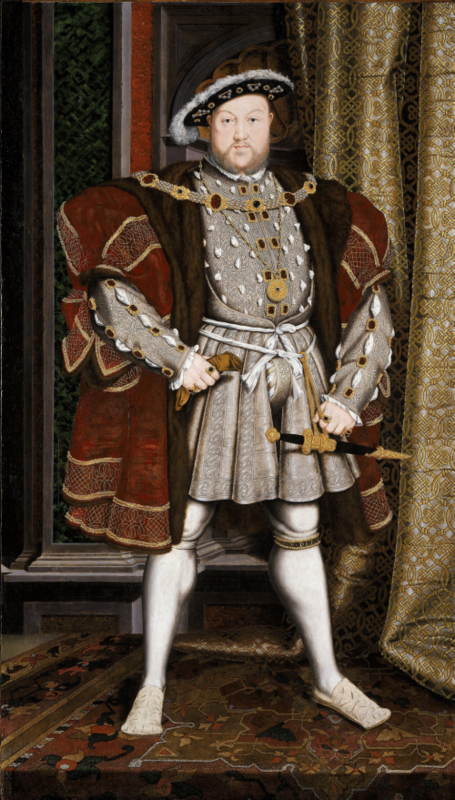 Recall the renditions of kings and nobility in paintings, such as King Henry VIII below. The King of England and Lord of Ireland, Henry VIII, who lived from 1509 to 1547. The portly figure as a mark of distinction was not for males only. Women of the upper socioeconomic strata also distinguished themselves by their stores of adipose. Review most depictions of women from the middle ages through the Baroque period. This was definitely not the female physiognomy typified by yoga, Pilates, or CrossFit advertisements. Peter Paul Rubens painted a fair amount of these upper class women. So much so that a moderately overweight and endomorphic female body type is still referred to as “Rubenesque”. 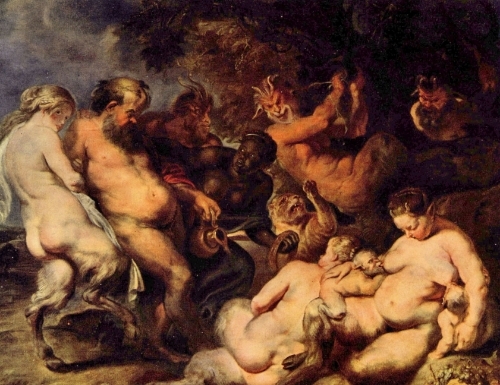 Bacchanal, by Rubens. Painted in 1615. The reality of not just starvation, but a general shortage of food, was present even relatively recently. 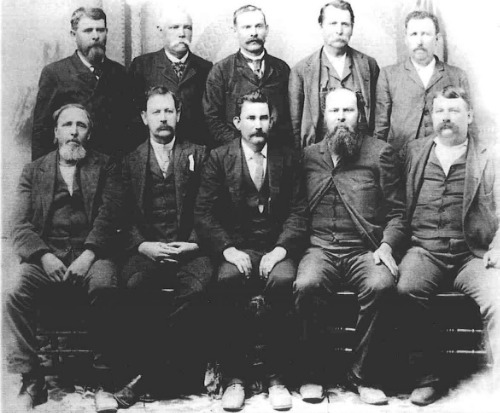 In 1866, the “Fat Man’s Club” was formed in Connecticut. Not only did it’s members have to be wealthy, but they had to weigh at least two hundred pounds. Even in the affluent New England of the late nineteenth century, this was no small feat (literally). The Fat Man’s Club. 1894. Obesity was so strongly correlated with wealth that men of lesser means would hope to impress other men, and potentially women, by stuffing their shirts so as to give the impression of being overweight. For most of time it was thus desirable to be a “fat cat”, or someone privileged enough to put on some pudge.